People either love or hate the idea of moving from an individual office to an activity-based environment. When implementing change, the key aspects are change management, discussion and listening. The employees at the Turku offices of the National Land Survey (NLS) have done this at their autumn workshops. Surveys show that people who work in a modern activity-based environment are more satisfied with their work environment than those who work in individual offices. However, it is impossible to achieve good results without change management that includes discussion and listening. Openly informing people and staff workshops have also been an essential part of involving the NLS employees in Turku in the change even before they move to the activity-based environment in November 2018. “In all projects, there is opposition to change at the beginning: complaining and grumbling are all part of the process. I’d be more worried if this wasn’t the case. People need to be able to discuss things, think and boldly ask questions – and to have their questions answered,” says Tarja Ek, Facilities Manager at NLS. Those who regard activity-based environments with suspicion may worry about whether they will be able to work in peace – especially if they have experience of working in a noisy open-plan office. Those who support the idea value the flexibility of the new workplace: individuals can decide what kind of space and soundscape they want to work in at any given time. Tarja Ek knows that the main thing in the smooth implementation of change is change management that openly listens to employees. At the NLS, change management processes have recently been developed and perfected more widely as the MML has started to renovate its old individual offices into modern activity-based environments. The NLS has 40 offices in total around Finland, and Turku is the eighth place where this renewal is taking place. In November, 119 employees will move into the new premises in Turku. They work in the government office building by the Aura River, where they used to used to occupy all of the seventh floor and half of the eighth floor. The new activity-based environment means they will now occupy one floor. Old and inflexible office solutions do not support modern knowledge work. 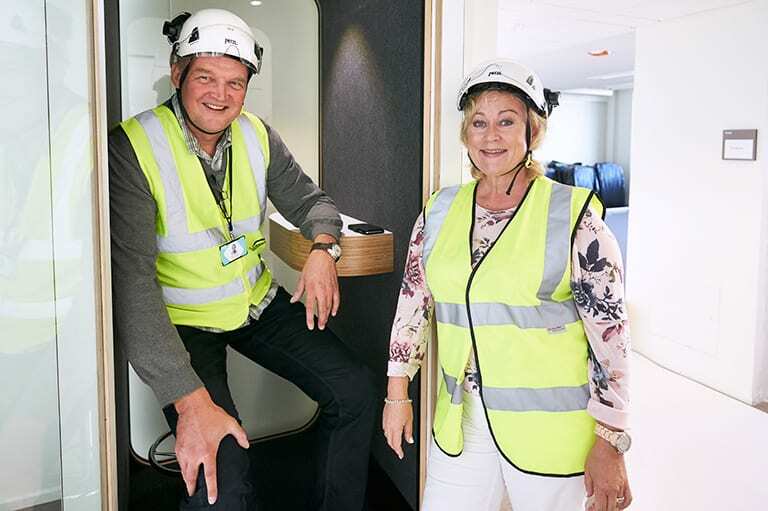 Tarja Ek, Facilities Manager at NLS, explains that the NLS is now converting its offices to modern activity-based environments: the eighth activity-based office will be completed in November 2018 in Turku. A project to construct a new work environment usually takes a few years. It is a good idea to use that time to learn about the new ways of working so that the new work environment can be taken into use fully right from the beginning. It’s also a good idea for employees to be involved already at the planning stage, with workshops, for example. 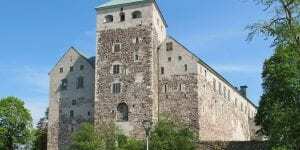 In Turku this process has been twice as quick: the change has been implemented in a year. Senate Properties, who owns the public office building, is an expert on the NLS facilities strategy. The premises were a little too big for the NLS, so in December 2017, Sinikka Selänne, Special Advisor at Senate Properties, suggested the idea of renovating the seventh floor into a modern activity-based environment for the NLS. 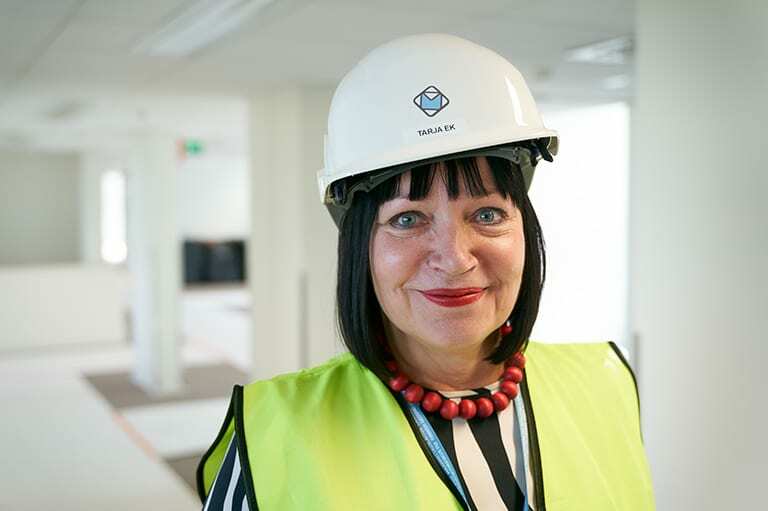 According to Tarja Ek, it was the right time for a workplace development project. Ek praises the members of staff in Turku for their excellent attitude and flexibility amidst the busy renovation timetable. Just under 40% of all of the NLS’s employees already work in an activity-based environment. Tarja Ek explains that surveys show that satisfaction with the work environment has increased, and collaboration and interaction have improved in the NLS offices where the change to activity-based environment has been implemented. Activity-based environments support modern knowledge work, but if each employee does not update their own ways of working or habits then the change will not succeed. According to Ek, the most important matters in this process are staff workshops and providing plenty of information to members of staff. Pertti Siekkinen, Senate’s Specialist in Change Management, held the first workshops on the forthcoming changes for the employees in Turku in March. In the workshops, the employees were told more about the activity-based environment in general, its benefits and strengths, and the rules to be followed when working in the environment. “Many may be confused at first. Pertti’s workshops are participatory, so participants do more than just listen. They discuss various matters in groups, such as how they each plan to work in the various spaces of the activity-based environment,” says Ek. 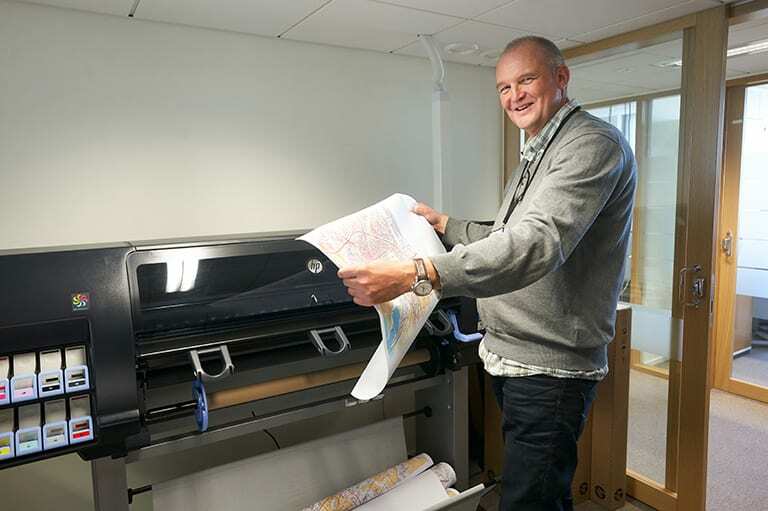 In September 2018, the employees also participated in process-specific workshops held by Matti Mäensivu, premises expert at the NLS. In the workshops, each team looked into ways of working in an activity-based environment: when you can take your laptop into a breakout room, the kind of space you can use to exchange ideas with colleagues, where you can go and make Lync and Skype calls and where you can find your own lockers. “In these workshops, each participant was able to ask questions arising along the way in even smaller groups, in the participant’s own team,” says Ek. Now that the employees in Turku have had a chance to consider the change and adapt to the idea of a new type of working culture, the main concerns have dissipated and the opposition to the change has also faded. The employees will move into the spacious activity-based environment decorated in fresh colours in two groups in November: first the employees in the temporary premises on the eighth floor of the office building and then at the end of the month the employees in the temporary premises in Heikkilä. NLS Register Secretary, Merja Hakamäki, explains that people are still understandably a bit nervous. People typically work at the NLS for a long time and many have sat, alone or with a colleague, in the same room for 30 years. Hakamäki is well aware of the mood among the Turku employees, because, as occupational safety representative, she has been helping to provide information on the stages of the change from the beginning, and has had countless discussions with people – listened to what they are afraid, annoyed and excited about, and their wishes. Hakamäki laughs and says that though she is looking forward to the change with an open mind, she also has some butterflies in her stomach. For Hakamäki, the best thing about the changes is that it will not possible to become set in your ways in the new activity-based environment.